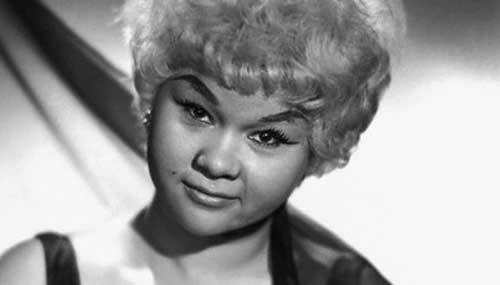 Etta James, the sultry-voiced singer who crossed the bridges between jazz, blues, gospel and R&B flawlessly, died today at age 73 from complications brought on by her battle with leukemia.James had been battling the disease for many years, and had been in poor health recently. The singer led a turbulent life, filled with periods of drug addiction, poverty, and business woes. Born Jamesetta Hawkins in 1938 and abandoned by her 14-year-old mother, she was raised by her grandparents and foster families. She began performing in the 1950s with the group Creolettes, and eventually signed to Chess Records in 1960 as a solo artist. Her time with Chess Records was brought to life in the 2008 film “Cadillac Records,” in which she was played by Beyonce Knowles. The film dealt frankly with her heroin addiction and financial troubles, causing a rift between James and Knowles. Her numerous hits include “At Last,” “All I Could Do Is Cry,” “Tell Mama,” and “My Dearest Darling.” Her professional success was marred by her addiction and various visits to psychiatric hospitals. James sobered up and eventually toured in the late ‘70s, including a slot on tour with The Rolling Stones in 1978. Her drug use resumed in the ’80s, and she was eventually admitted into the Betty Ford Clinic, which proved successful. The legendary singer was inducted into the Rock and Roll Hall of Fame in 1994.